This is a P.I.A. Deep Black Report. This report contains an exclusive theory developed by the P.I.A. to explain the many missing persons cases in America's National Park system. In the last few years a researcher and former law enforcement officer named David Paulides has garnered widespread attention for his investigations into the abnormally large number of missing persons cases in America's National Park system. Paulides has performed an exhaustive investigation into these disapearances and has been able to find very valuable patterns and similarities to many of these cases. The P.I.A. has now examined these patterns and similarities in detail and has developed its own working theory to explain the cause of this disturbing phenomenon. Upon careful analysis of the known facts of Paulides highlighted cases, our analysts began to realize that there could, in fact, be a scientific explanation for this disturbing phenomenon and we were reminded that the paranormal is the normal, just not yet understood by man. Our theory combines a known scientific theory called the 'Mach Effect' with known Geological science and theoretical physics to help provide a possible explanation to the Missing 411 phenomenon. Many theories have been proposed to explain this phenomenon from Sasquatch abductions to E.T. activity and even more exotic explanations. None of these proposed theories fits with the known facts of the individual cases themselves. 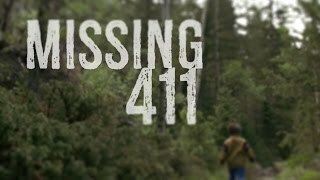 In recent days a new Missing 411 case has been opened. This involves a young man from Cleveland, Ohio on vacation in Southern Colorado. This now missing individual disapeared over a week ago and no trace of him has been found despite exhaustive efforts by search and rescue teams. This particular case fits perfectly with the rest of the Missing 411 phenomenon. All of the details surrounding his disapearnce are nearly identical to other cases. Around the world in hushed conferences and in published scientific journals some of the best physicists alive today are attempting to relate current physics theories to observed anomalies or paranormal phenomena. Basically their scientific musings and wandering equations are beginning to sniff out the possibility that at least some reported paranormal phenomena could be the result of inter-dimensional beings or time travelers accessing our space time continuum. Likewise they are posing the possibility that physical beings jumping across vast distances of space via wormholes or stargates as a possibility for some UFO activity. One hair raising variation of the interdimensional hypothesis posits that creatures or beings that access our physical reality need not be physical but may be capable of influencing our physical reality and could be capable of such acts as mind control. Some have theorized that they could manifest their influence through long term evolutionary manipulation and act as an unseen influence on human affairs. It could be that any perceived motive would be entirely incomprehensible to us in a human sense. Some renowned scientists like Michio Kaku are beginning to realize what may be a grim reality for the human species. Kaku writes, “Let’s say that a ten lane superhighway is being built next to an anthill. The question is: would the ants even know what a ten lane super highway is, or what it’s used for, or how to communicate with the workers who are just feet away? And the answer is no…if there is another civilization in our backyard, in the Milky Way Galaxy, would we even know its presence? There’s a good chance that we, like ants in the anthill, would not understand or be able to make sense of a ten lane superhighway next door.” This view is shared by other leading physicist like Beatrize Gato-Rivera who have begun to embrace what their science and intuition are telling them and who have begun to ask questions unthinkable in academia only a few years ago. Gato-Rivera wrote, “If there exists thousands, or millions of parallel universes, separated from ours through extra-dimensions it would be natural then to expect that some proportion of these universes would have the same laws of physics as ours and many of the corresponding advanced civilizations would master the techniques to travel or ‘jump’ through the extra dimensions. This opens up enormous possibilities.” The question now being debated among these scientists is whether or not someone ‘out there’ in a parallel dimension or from far away points in time and space could get here and interact with our reality in bizarre ways. 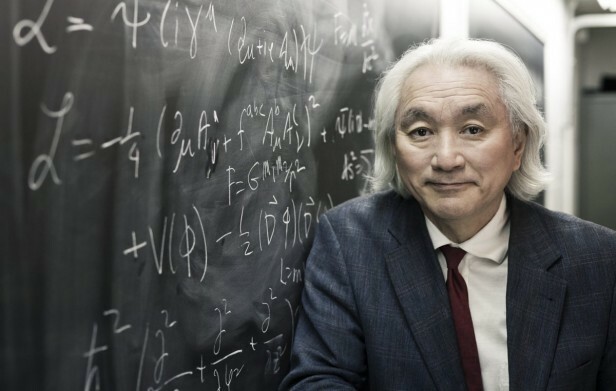 Michio Kaku suggests, “Aliens may be here now, in another dimension, a millimeter away from our own.” Kaku is careful to point out that wave frequencies of other dimensions, times and universes are all around us every moment of every day. He states; “However just like you can only tune into one radio channel, you can only tune into one reality channel, and that is the channel that you exist in. The catch is that we cannot communicate with them, we cannot enter these universes.” Kaku and his colleagues agree, however, that far more advanced beings could possess the technological capability to make the jump between dimensions or parallel universes. Other scientists from disciplines unrelated to physics are surprisingly converging on the same conclusion. What these scientists don’t yet realize however, is that the ‘vortex’ areas are doorways between dimensions. They believe according to their science that the doorways could and should be there and yet haven’t accepted the reality that the doorways are there. The bizarre and bewildering events at these sites represents nothing less than a physical interaction between dimensions. 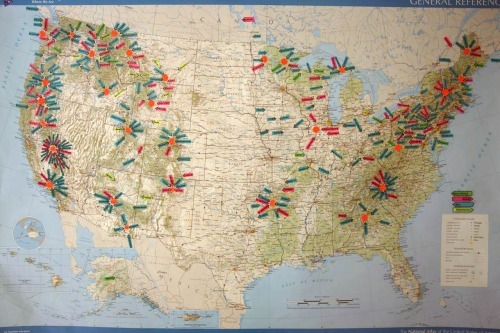 At each of these sites one finds very strange electromagnetic energy fields. Physicists believe that other dimensions are very real and that it is entirely possible that beings exist in those dimensions. They also believe that the only thing separating dimensions is an electromagnetic membrane. What is occurring at these vortex sites is that the unusual electromagnetic energies at these sites caused by the underlying geology causes a thinning or opening in the membrane allowing for momentary or intermittent interaction between our dimension and others. This is something the United States Military must be aware of and also must consider a threat in some manner, how else can we explain their presence at each and every location as well as their desire to buy up the land on which these sites now rest? It is though they have posted a guard at each of the ‘doors’ to monitor the activity and to somehow perhaps combat it. The wide array of parallel and differing paranormal activity reported at these sites fits perfectly with what these scientists describe an interaction of this sort would be like. The Woodward effect, also referred to as a Mach effect, one of at least three predicted Mach effects, is part of a hypothesis proposed by James F. Woodward in 1990. The hypothesis states that transient mass fluctuations arise in any object that absorbs internal energy while undergoing a proper acceleration. Harnessing this effect could generate a thrust, which Woodward and others claim to measure in various experiments. If proven to exist, the Woodward effect could be used in the design of spacecraft engines of a field propulsion engine that would not have to expel matter to accelerate. Such an engine, called a Mach effect thruster (MET), would be a breakthrough in space travel. So far, no conclusive proof of the existence of this effect has been presented. Experiments to confirm and utilize this effect by Woodward and others continue. According to Woodward, there are at least three Mach effects theoretically possible: vectored impulse thrust, open curvature of spacetime, and closed curvature of spacetime. The first effect, the Woodward effect, is the minimal energy effect of the hypothesis. The Woodward effect is focused primarily on proving the hypothesis and providing the basis of a Mach effect impulse thruster. In the first of three general Mach effects for propulsion or transport, the Woodward effect is an impulse effect usable for in-orbit satellite stationkeeping, spacecraft reaction control systems, or at best, thrust within the solar system. The second and third effects are open and closed spacetime effects. Open curved spacetime effects can be applied in a field generation system to produce warp fields. Closed curve spacetime effects would be part of a field generation system to generate wormholes. The third Mach effect is a closed curve spacetime effect or closed timelike curve called a benign wormhole. Closed curve space is generally known as a wormhole or black hole. Prompted by Carl Sagan for the scientific basis of wormhole transport in the movie Contact, Kip Thorne developed the theory of benign wormholes. The generation, stability and traffic control of transport through a benign wormhole is only theoretical at present. This is important because the Earth is also experiencing 'Transient Mass Fluctuations', as it travels through space, this in turn is causing stress in the underlying rock strata in various geographical areas where there are an unsusal number of missing persons cases. This rock strata contains very large deposits of quartz crystal, which when stressed causes the generation of very strong Electromagnetic fields. These fields are 'activated' at different times and places depending on external space/time factors which produce the Mach effect. When these fields are generated then they can cause a 'benign wormhole' to form allowing for travel between dimensions. It is our contention that not only are the wide array of paranormal activity associated with these areas the result of momentary interaction between dimensions but that the high number of missing persons cases so eloquently researched by Paulides can also be attributed to this scientific mechanism. The book 'Hunt for the Skinwalker' holds many important clues in this line of research and we at the P.I.A. believe that we could, in fact, be witnessing something developing which is far, far more disturbing once the Macro implications of these findings are contemplated.